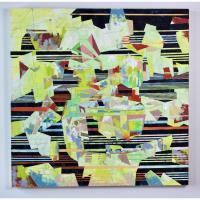 Clinton Community College is currently the artwork of abstract painter Ben Holmberg in the CCC Library Art Gallery. His creative pieces will be available for viewing from February 1 through March 28. An Artist Reception Thursday, March 28, 2019 – 4:30 – 6:00 p.m. CCC Library Art Gallery, 1000 Lincoln Blvd., Clinton, IA. 2019 – 4:30 – 6:00 p.m.